The legendary Valhallan Ragnarok, which began as a conversion for Epic and made its way to 40K is now breaching its way into the World of Tanks. 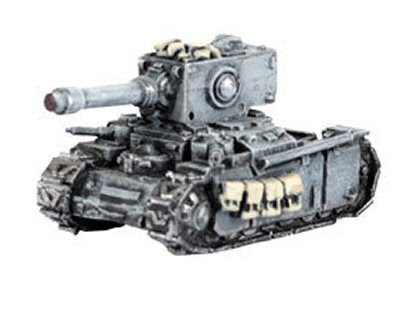 Come check out the latest batch of 40K materiel to hit the World of Tanks. Looks a lot similar to the Ragnarok we know and love, complete with the square turrets and everything. You can see both the Ragnarok and the painted up BDR G1 B on display in the video below. ~I’m so ready for a Ravager to FREAK the normal World of Tanks players out!